Interview with Matthew Spangler, Professor of Performance Studies at San Jose State University and playwright of work including Tortilla Curtain and The Kite Runner. I wondered if you could talk about your experience working with dramaturgs or your work in script development and how that might be seen as dramaturgical? Matthew: I’ll talk about the first one — working as a playwright with dramaturgs I think in the model here, in the United States, dramaturgs really come in one of two types and sometimes they cross over, one person might do both of those types but I am just distinguishing these types so we can talk about them. One type would be a dramaturg who focuses on the script and gives the playwright and, to a certain extent, the director feedback on the script and what could be improved. Like maybe this line is extraneous and maybe this other line here on page 76 contradicts something that we learnt about the character on page 16. Even the playwright sometimes doesn’t catch those things. Plays can be very complicated things and even the creator, perhaps especially the creator, is vulnerable to some of these oversights and it takes the outside eye of the dramaturg to be able to come in and say here’s a line that I think we can do away with, the scene will move a lot faster if we remove this line over here, and we essentially know this information on page 84 because you told it to us on page 36 so let’s cut this line on page 84. So I think one purpose of the dramaturg is to provide something of an outside eye at the level of the script. That outside eye is particularly useful for new scripts, a script that hasn’t had a full production before, and that has maybe only had some readings. It’s very useful then to have the dramaturg in rehearsal weighing in on these things as the rehearsal is progressing and the script is being put on its feet. The other type of dramaturg is somebody who would focus largely on the information behind the play, the historical or cultural context. This type of dramaturg might do a lot of research before the rehearsal process even begins, and show up on the first day of rehearsal with pictures, oral history interviews of people who lived at the time of the play or in the environment of the play, that sort of thing, and the dramaturg might event give a presentation to the cast of this information. Of course, as a practical matter, the playwright and the director are also familiar with this information, but again, even for the playwright it’s very useful to have someone as an outside eye who is engaged in researching this topic for the first time and is coming up with new things that might even be new for the playwright. And having the dramaturg come in with their research can be very useful to the process. As I mentioned, some dramaturgs blend these styles – being focused on the text and being focused on extra-textual material – I don’t want to say that they have choose one or the other. Finally, as a playwright, I find the dramaturg very valuable, something of a luxury in North American theatre. Not every production has a dramaturg. But those that can afford it do. Particularly for new plays. Can you give me any specific examples of a dramaturg enabling you as a writer to find something out about your play? Matthew: I’ll give two examples of the types I described here. When we did The Kite Runner at the Actors’ Theatre in Louisville, this was the play’s second production. So even thought the play had had a full production already, the play was still slightly overwritten. I think most first plays are over written anyway and the playwright usually ends up in the rehearsal process cutting or refining the script, so I was in that process. Then the dramaturg came on board in Louisville – Carrie Hughes, she’s the literary director at the McCarter Theatre in New Jersey. And she was fantastic, she was based at Yale, and she was there for the whole rehearsal time, so this was a company with a big budget. The Actors’ Theatre of Louisville focuses on new plays. That’s their whole MO, so they’re used to hiring dramaturgs for their shows, so they brought her up from Yale for five weeks. She sat in on the rehearsals and for me she was an outside eye. She could say the sort of things I’m referring to now: I think this speech is a little long. Could we make it shorter? And I would say ‘yeah I totally agree it’s a little long’ and we would noodle it together. I would say what do you think? Shall we cut? And she would make suggestions. There were a couple of times when we didn’t agree. She would say ‘can we cut this?’ and I would say ‘I think we need to keep that’ and the playwright in those cases wins, but those were the odd moment. I would say 90% of the time everything she said was spot on and it really helped the play to become a lot tighter and leaner and I appreciated that. Another example is when we did Tortilla Curtain at the San Diego Rep. That’s a play that’s so situated in its cultural and historical context. If the actors and designers don’t understand California’s Prop 187 in 1994, and the way in which the Republican Party largely supported it, and what that referendum would have done – it would have taken away public services for undocumented people – if we don’t understand all that, then we don’t understand a fundamental aspect about the play. So this particular dramaturg – Dawn Moore, she’s the resident dramaturg at the San Diego Rep – she did a lot of research on that issue, the politics around the proposition, she brought in videos – there was a political campaign that supported Prop 187, so there were a lot of videos, like TV ads – she was able to show these videos, which, in effect, got our minds of the actors and designers into the historical space. So even though I had written the play, I learnt a lot from her because she was doing this research herself and she was bringing facts I didn’t know. So, I guess you could say in the time I have worked with dramaturges, I have found them really terrific. You said you were working as a script consultant, is that in some way a dramaturgical role? Matthew: I suppose it is. In this case, I’m doing the first type – the type of dramaturg focused on the script. The plan is for the show to go to Edinburgh next year. I’m working purely as a script developer which means tightening lines, adding lines, saying things like: ‘I think this sentence is confusing because of the pronouns, and you’ve got these other nouns floating around, we should clarify that’. So I’m doing that kind of work in terms of clarifying the language of the script. In some cases adding language, in other cases, taking language away, just making the play clearer. I’m not doing the historical research because the person who wrote the play is a musician and this play is about Vivaldi, so it’s already steeped in historical research and they don’t really need the historical work from me, but what the script does need is someone to be able to look at this play written by a musician, who understands theatre because she is in the arts but is not used to writing plays, and I’m trying to take this play and tighten it up and make it what it wants to be. It sounds to me like an editorial role? Looking at the play on the page rather than a curatorial outside eye on the play as it takes to the stage? Matthew: Yes, it’s kind of like an editorial role. But in saying that I don’t mean to imply a dramaturg is a “mere” editor. Think of all the great writers whose worked benefited tremendously from someone editing and shaping their work – TS Eliot, Thomas Wolfe and the like. A dramaturg provides something of a similar function. It seems to be that there are these different levels at which a dramaturg might operate. Different lenses that they might use at different stages of the process. I talked to one of your colleagues the other day who described the in-house dramaturg in America as a kind of aesthetician. Someone overseeing the aesthetic of the theatre, who quality controls what a theatre puts out and says that it’s in line with how the theatre wants to be seen so everything coheres within a programme. I wonder what your thoughts are on this more institutional role dramaturgs play? Matthew: I haven’t experienced that kind of dramaturg who has the ability to control the aesthetic of a theatre. Maybe, formerly, dramaturgs operated that way. In my practice dramaturgs are part of the team. In the power hierarchy of the rehearsal room they would be situated just under the director. And I think that’s a tricky role to play. To be effective, the dramaturg needs to have the right kind of personality because you’re not in most cases the most powerful person in the room, the playwright and director are, but you are giving them feedback. On many occasions telling them things that aren’t working in the show, telling a playwright that this particular line is unclear and we should work to clarify it. Or telling a director that what you’ve just done here contradicts what you’ve done in Act One and the director might be like ‘oh, yes, I hadn’t thought of it in that way, maybe I should rethink the idea’. So I guess what I’m saying here is that it takes the right kind of person to inhabit the dramaturg’s role and make it work. It’s a very nuanced and precise position. Matthew: Exactly, but you can’t stand down too easily because you might have the right idea for something, but if they’re too self-effacing, or too tactful, then it never sees the light of day and that’s a problem, too. So, yes, it’s a very particular role that we’re talking about. Just the right person. I interviewed an associate director in the UK who is sometimes described as a dramaturg and he works a lot with Tim Crouch, he often describes his responsibility as a dramaturg as ‘representing the audience in the rehearsal room’. So he is sitting there watching rehearsal imagining what the audience might be thinking. So I wonder whether theatremaking or playwriting or the rehearsal of new plays in America thinks about its eventual audience, how much that dramaturg might be the audiences’ surrogate presence in the room? Matthew: I haven’t thought about that, but, yes, generally, new plays don’t consider their audience enough and the dramaturg is really useful, those that approach it this way, as the mind’s eye of the audience. That eye is extremely useful for a new play. As I mentioned, I think a lot of new plays tend to be over-written, especially in the first draft. The playwright might be experimenting with something that they’re not sure about and that’s why it’s over-written because they’re not too sure if its working. And there are so many things on your mind in the rehearsal process that trimming your play and making it more specific to your audience can fall by the wayside. A good dramaturg can help fix that. Matthew: They do. A good post-show discussion can give the artist incredible material to work with. One difference that’s worth noting, though, is that a good dramaturg is even more capable and able to give that feedback to the playwright or director, whereas the audience, you have to have a smart, articulate and sensitive audience and you know you don’t always get that! Sometimes the audience feedback actually isn’t useful to you. Whereas if you have the right dramaturg on board then almost everything the dramaturg says is spot on. So I wouldn’t suggest that dramaturgs could be replaced by audience talkbacks. I still think that role of the dramaturg is more important if you get a good person in that role, than a bunch of workshops and some audience feedback. Dramaturgs train, they know how to speak to the playwright, they know how to speak to the director, and they have experience doing it. Dramaturgs work to put themselves in place to not only be the eye of the audience but also to try to understand what the playwright is doing. And what the production is doing. And the audience isn’t always concerned with what the playwright is trying to do. The audience just wants a good show. And if the show is boring the show is boring and the audience will tell you that, but they won’t necessarily be able to tell you what the show needs. I want to finish with one last question about your role as an academic, what kind of overlap there might be between the role of the dramaturg and the work you do with students, whether there are times in the classroom when you are dramaturging? Responding to their ideas do you ever feel that there is a dramaturgical practice within a pedagogical context? Matthew: Absolutely. Again I’d never thought about it in those terms until you described it just now, but the answer is, yes. For example, if a student of mine puts together a 30 minute one-person show, and the student is going to go up in front of an audience in one month and I am giving feedback then I will do what that dramaturg would do in that 1) I’m going to imagine that hypothetical audience that is going to come in here in a month and what are they going to need and where does the show flatline, where is the show unclear and how can I suggest fixes to it? What can I say to get the show moving where it’s slowing down? Or make it clear when it’s unclear? But at the same time, I’m not just going to colonise the student show and make it a piece of entertainment as I see it. I’m going to try to see the show through the students’ eyes. What is the student trying to achieve? What is the story that she is trying to tell and how can I help her to tell it? How can I help her to achieve the work or art that she is trying to achieve, but at the same time, make it a work of art that is going to succeed in front of an audience? And I suppose that’s exactly what a dramaturg does, except the situation I’m describing, I don’t have a director or a playwright sitting in the room with me. I’m the professor and this is my student. I do have a lot of latitude in speaking back, you know, to say things like: “change the opening, it’s totally not the opening you want, its contradicting everything you’re trying to go for in this piece, you need to rethink how it opens” etc. I can say those things with more freedom. There is a different hierarchy at play in the classroom. Right. That’s what I was talking about earlier, the dramaturg needs to both be able to say “change the opening,” but say it in a way that will get the director and the playwright listening and do what needs to be done. You said a dramaturg was a luxury. Is that a financial thing? Matthew: Yes, it’s financial. It’s a luxury not because companies don’t think its necessary, I think all the companies I’ve worked with would want to work with dramaturgs. And if they could afford one they would have one. But in the hierarchies of the hires, you need your director, you need the actors, and after that, if you’re on a tight budget, well, maybe the sound designer can also design lights. Can the scenic designer also design costumes? And sometimes, on budgets, the dramaturg falls off the list. That’s unfortunate. I’m thinking about the way theatre over here in the USA is funded. Matthew: Like I said, if you can afford it, you should always have a dramaturg in the room. A good dramaturg is amazing because they’re able to be an outside eye and really clarify things and make things better. Understand me, I don’t think it’s a good thing that the dramaturg often falls off the totem pole of the budget. I think it’s a bad thing and its definitely related to the funding models we use in this country, which are largely market-based. Theatre companies compared to yours get far less public funding and the attitude is one of the market. If you can’t sell a product, if people aren’t buying tickets to come through the door, well, then the product must not be worth it – that’s the market attitude toward theatre. If your theatre needs to close because you haven’t been able to sell a product, well, then the market tells us it needs to close. End of story. We let the market rule so much in America, and the market is largely antithetical to producing art. Like it did in San Jose. Matthew: Like it did in San Jose. I think the market impulse, generally, is really bad for the arts, but, whatever, we have a market system in this country and that’s what it is. Markets might be good for designing cell phones, but markets are not good for plays . . . Image: The Kite Runner, Nottingham Playhouse 2013. 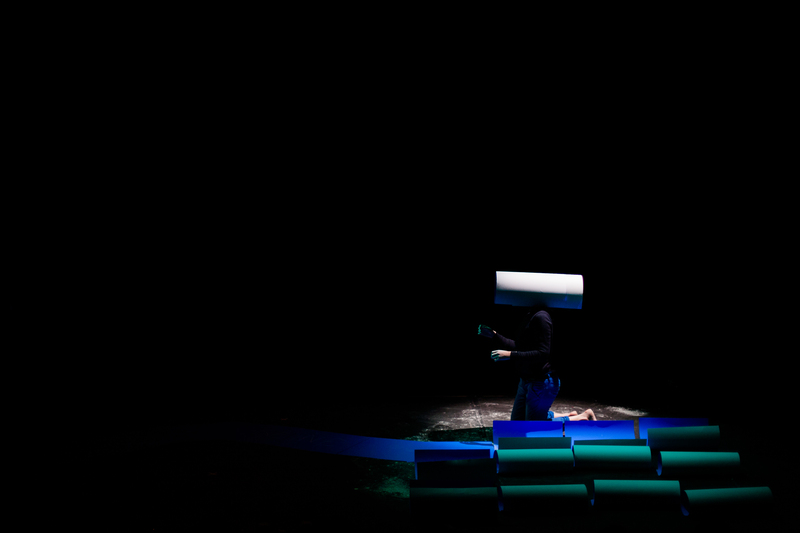 Audio clip of an interview with Chloé Déchery about the role of the dramaturg in her work. Originally from Paris, Chloé is a live artist based in London and invited Michael to work as a dramaturg on her new project A Duet Without You. A Duet Without You by Chloé Déchery started as an attempt to reenact a pas de deux without a partner. In ballet, a pas de deux (literally, steps of two) is a type of duet. It usually consists of an entrée, an adagio, two variations (one for each dancer), and a coda. Here I attempt to describe my experience of the process as a dramaturg, using the structure of a pas de deux as a scaffolding. I am writing about space and how we use it. I write about how we often work with what is already there when we arrive. We weave the reality of the room into our work. Ladders become our proscenium arches. LX tape marks out our stages. I think about time passing and how we might try to tame time. How we as performers and audiences are marked by the time it takes to tell a story, by the hour or so we spend together in a theatre. And how, as Italo Calvino said in Quickness: ‘cuntu nun mette tempu’ – time takes no time in a story. Karen Christopher, working with Chloé as a mentor on A Duet Without You, once said of her work with Goat Island: ‘We are standing here with time and the time it takes to stand here.’ Now Chloé is standing here with the time she spent with others. Ten days working with three artists will become whatever she does now. The rehearsal space will be re-traced onto this taped out stage. Two weeks will be distilled into an hour and four people will become one. In that time, all she will have left is the space and what is already in it. Chloé Déchery will dance a pas de deux tonight with the stories, bodies and voices of her absent collaborators; Pedro Ines, Simone Kenyon and Deborah Pearson. Like the handprints on the walls of caves, they have left negatives of their presence in the creative process. They haunt this space in the way an object moves or a song is sung, in the way water is poured or a light is switched on. Now, somewhere between a duet and a duel, a summoning and a conducting, Chloé stands here with time and the time it takes to stand here. 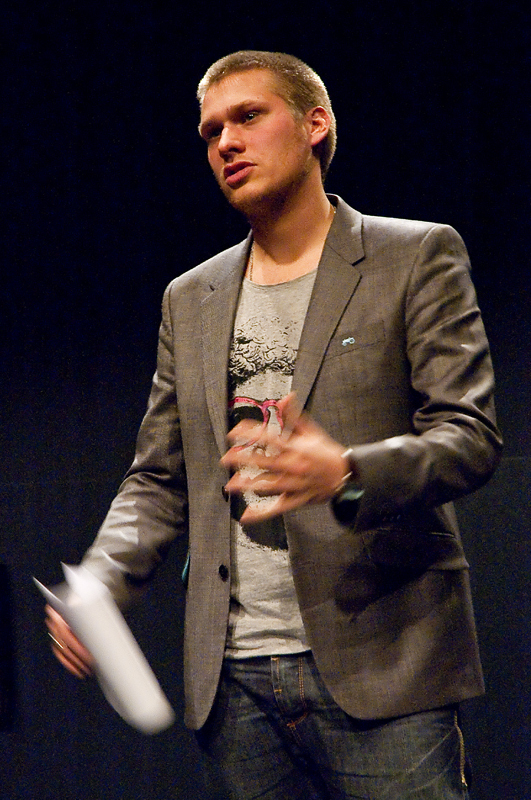 Tim Mrosek is a dramaturg and director based in Cologne (Germany). He works at studiobühneköln. Image: “12” (director: Tim Mrosek / Foto: Ingo Solms). What is your understanding of the word dramaturg? TM: I think when I started to become interested in theatre I soon realized that almost every job in theatre, almost every position that is filled by someone is kind of easy to understand from an outside position. So you understand what the actor is or what the director does and what an assistant is but the dramaturg stayed as an enigma because I ran across different types of the dramaturg. I was in a production where I did assistant work to the dramaturg’s assistant. We only did text work. That was a production by Richard Maxwell and what he did was he rewrote the text after every rehearsal and what we had to do was sit with him and listen to the changes and put them in the text version, making copies, that was basically just text work. I worked on another production were the dramaturg came every second week, watched a rehearsal, after the rehearsal he would sit down with the director and me and the assistant and talked about what he had seen and talked about what he had seen two weeks before and always referring back to the general basic idea of what the whole production was. Asking questions like which way are you going? I think you took this or that turn. It might be interesting to go back to the intersection and try the other turn as well. Always asking questions about the way. The way that the production is going. The aim that the production once had. The aim that might be there now. That was one thing, then this production had two dramaturgs, the other one was responsible only for public relations e.g. flyers, posters, programmes etc. When I started here as a dramaturg I thought it would be a strange position. If someone asks me I say I’m a dramaturg and then they ask me what I do and I could always tell them different things and sometimes I do public relations stuff or I talk to the groups here always in relation to what kind of picture we want to be seen by the public. That’s dramaturgical work that sounds more like PR and when I tell people that I don’t do a lot of production dramaturg’s work so I don’t go to rehearsals that often and I don’t talk to artists about their artistic stuff, that’s when I realize that me being a dramaturg here means doing a lot of that part of the dramaturg’s work but when I go to conferences and festivals or talk to other groups then I do the other part of the dramaturg’s work. Then when I work for myself, because I am a director as well, and I am rehearsing then it becomes really strange because often I am my own dramaturg, I am the outside eye watching what I am doing. TM: By being schizophrenic. It’s about control mechanisms. You can’t undo what you have seen or what you have experienced. When the director says let’s do this and the dramaturg thinks about what that means for the process. The interesting question is how can one not get in one’s own way then. But I think that probably every dramaturg you ask in Germany will tell you different things about what a dramaturg can be and very different things about what he or she as a dramaturg does. Probably the one thing that is really interesting about being a dramaturg is you can define for yourself what it is. That’s absolutely true. A lot of people say they write their own job description. Part of their role is to define the role. Often when you work with artists you define the role to that artist’s need. What interested me there was when you said you are your own dramaturg and I wondered if you ever invite any other dramaturgs or outside eyes into the process to give you more objective feedback. Usually in Germany you have a director and a dramaturg working together. Do you make a deliberate choice to be both? TM: No not really. I think I did one production where I had no outside eye of any kind. That was easy because it was a German play that was the most well written play I’ve ever read so there was nothing for a dramaturg to do and that went quite well. Normally the group I work with has two dramaturgs, in inverted commas. One is doing more public relations, the other is available to come to rehearsals, I don’t necessarily hear what he says. I hear what he says but often I know what he is going to say. That’s my personal problem. I invite people but I haven’t found the right person who I trust to give that sort of feedback that helps me. Everyone’s peculiar and I haven’t found the person who could be my dramaturg. That could be someone who comes to rehearsal and says that’s absolute rubbish what you’ve been doing for the last week but I can tell you why and I can tell you that you don’t want to do this – you want to go back to the intersection and go the other way and please do so. That would be the best thing that could happen to me as someone who tries to do theatre. But I think that it is always necessary to have someone who can give feedback. There is also a moment of reassuring the rest of the people you work with. One comes and says OK you’re on the way and the way is interesting, it’s not the way I would have gone but it is working. When you work with a small ensemble as a director sometimes you cannot lie, or you can’t say we’re fine and some actors need that all the time. Someone from outside who can tell them what they want to hear. A dramaturg I know in England said they have the capacity to be frank. Someone who can say I’m not sure this is working, can we try it this way? You have to have a certain relationship with the artist or company in order to do that. Otherwise there’s a danger that you slip into sycophantic behaviour where you’re just saying this is great all the time. TM: It depends on whom you talk to. Right after rehearsal when the actor comes and asks what you think, I think as a dramaturg you can’t say that its wrong, you have to give positive feedback. Even if it’s I like it I can’t tell you why. Afterwards when the director comes everything is possible, you should be able to be frank. Maybe that’s my problem because for me that happens when I go home, when I know what I want to say. With other people’s work it’s rather that I want to know where I am. We have a group who works here and I go to rehearsal and afterwards everyone comes to you and asks ‘What are you thinking?’ and you have one version but when you sit down with the director you should give them the truth, what you think is the truth, you should be frank. But when I work on my own this is when my inner dramaturg and my inner director start to communicate. So the dramaturg needs some distance with the work? TM: He needs to be alone with the director. Transcript of a conversation that took place with Alice Gale-Feeny and Katherine Fishman about their exhibition ‘Beyond the Suspension of Disbelief’. This transcript was used as a ‘script’ at the exhibition launch at Surface Gallery, Nottingham in March 2012. M: I think when I walked in, I saw the various…. sets – you put in place. M: yeah the plains. It’s a bit like in the theatre, where you drop things from the wings, everything’s on a – sorry from the fly tower; it comes down from a fly tower, and everything’s on a slightly different plain. Scenery comes in a narrative order. M: We see it from this corner. K: yeah. Kind of like, through the other pieces? M: In a way you’re at a vantage point to be able to see it all – kind of demystifying it all for us. M: It feels more honest than the rest of the other work. K: But then I like the fact that maybe it has some kind of fake honesty to cover up for the fact that maybe it’s not a real kind of honesty? K: Or maybe it’s showing something that looks like a kind of honesty even though it’s quite abstract so it doesn’t feel like a real honesty. So that people don’t question its honesty? M: It’s an abstract honesty. I think that’s a nice way of saying it. I don’t consider it a fake honesty. I mean it could be. – And you become a performer then. It feels more like a competition between the action and the description. M: Than if we sit on chairs and have microphones. Because if we do that, we perform it. M: And in a way this is the section we should probably be reading. A: Because part of me is wary of using mics. I really want us to be heard. But if it’s- if it’s a clear “this is a performance starting”, everyone will stop talking, won’t they? K: I don’t know if they would, if we were all sat around like this. M: I actually think if we sat around like this and talked, and we weren’t worried about people listening to us or not, we have perhaps more of a chance of being sincere to the original. Whereas – cos’ actually, if I start to speak like I want to be heard I’m automatically not using the right kind of voice for this sort of conversation. K: But then I’m also interested in our different styles of performing. A: I think it might be a mistake to – to force… the way I perform on the text, or the way Michael performs. Because in a way, you don’t perform – we don’t perform in any particular way, but it depends on the context, doesn’t it? A: If I re-read something now I will talk it differently to this. It won’t be performed. M: But I – what I would tend to do if I have something written in front of me, is read it without any real… colour. As in emotional adding-on of an effect. It would just be: I will read these words and let them speak for themselves. M: And actually I’ll probably make it flatter than I have in saying it now. M: If that makes sense. M: And in that sense, that’s closer to a deadpan reading than what you might have, if that’s what you think you might do. M: So I think that we might find that we all shared a similar kind of voice in this context, rather than finding differences between our voices. A: I think we all would as well. Cos I think the way I talk in this- I don’t think I would naturally talk like that. If I was saying those words. M: Persona… voice, isn’t it? M: But I don’t necessarily know if the focus of this performance would be the registers of our voices… But then in might be. But it would be more of a footnote than the focus. A: I think it will. I think we’ll notice it. M: I suppose you have to ask why we speak it, rather than playing the recording of it. But I like- it’s the same device you used in the video you showed me last time, isn’t it? It makes sense, in a way. Having… a proximity to an original, which can never be the same as the original. A: Or how does it change from the original? M: The other question is just how ambient noise might affect it. Whether the people you have will be quiet. M: Well you could- if you had- if you had the setup in the video with the microphone on the stand surrounded by chairs, and we each step up to the mic and do our bit then that’s one vision of that. If there were three of us on chairs then that’s more of a panel. But I think that anything with mics- mics and chairs seems to make it more formal. Whereas as we’re having it now- and if we replicate how we’re having it now, there’s something more of a found movement vocabulary- a found informality to that… seems… kind of… There are different registers within the work. There’s something informal about you leaning against the wall, and something formal about the form of Alice’s presentation. And the thing with this piece is how it sits within that sort of range of registers. A: I wouldn’t watch any of these videos sitting on the floor. M: And everyone knows you’re performing something. When you do something in a gallery and you start reading something, no one knows a) who you are, or b) what you’re doing and c) what they’re supposed to do and there’s lots of questions. And I think whatever you do for this just perhaps needs to address some of those. * How do we end it? Walk off? Interview with Jochem Naafs, a dramaturg, theatre scholar and writer based in Utrecht (Netherlands). 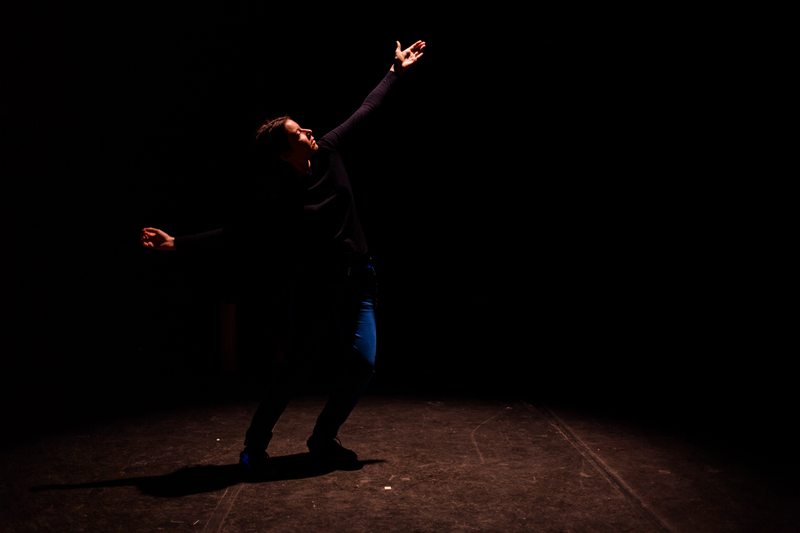 He merges theory and practice, working in dance, performance and theatre. What does the idea of an ‘outside eye’ mean to you? JN: I guess the role of an outside eye would mean someone that comes by, looks and gives feedback at one or more moments during the creative process. Someone that is not intimately involved in the process all the time and therefore has a certain distance to it. I am looking more at the role of the outside eye than the dramaturg. But think there might be some overlap. How does the relationship you have work with writers / directors? Is it regular meetings, face-to-face, in rehearsal or remote? JN: It depends on whom I am working with. I prefer to be involved in a certain on-going dialogue with the writer, director or choreographer. To not only be someone that can be flown in at will, but rather someone that is involved in a process. That would also mean face-to-face contact in the studio and at the table. Discussing issues, themes, and progress. In a more collective process it would also mean that I would be in contact directly with designers and actors etc. Sometimes I am more the outside-eye, observing, interpreting and giving feedback; sometimes I am rather a co-creator, working with the director and being actively involved in the process. If I need to be more specific, let me know. I wonder what you mean by ‘interpreting’ in this context? I have been looking at the idea of the outside eye as a translator, from one language or artform to another. For example, I wrote this in a recent paper on dramaturgy: The practice of an outside eye sometimes approaches the practice of a translator. As Walter Benjamin said; ‘It is the task of the translator to release in his own language that pure language that is under the spell of another, to liberate the language imprisoned in a work in his re-creation of that work’. I wonder how much you release or liberate language in your role? JN: The idea of being a translator appeals to me. I notice this most when I work in dance. I try and translate what I see into words. Movements, stills, objects, relations between these things. I try and find words for what I see (not only what I literally observe, but also what that communicates in the context of theatre and the context of the piece). JN: I use the term translation a lot when describing how people can look at things. For example: when we both look at a cup we tend to think that we see the same cup, but actually we create meaning by translating the presence of the cup in our head. So we both see a different cup depending on what we think of as a cup. Like we both see different dances or respond differently to the same performance. Which is a result of our subjective reading of the work, whereas sometimes, the outside eye is there to be objective. To say ‘This is what you are doing, this is what I am seeing’. An indexical reading rather than an iconic or semiotic reading? JN: What I define as blue might be totally different in my eyes, then what you define as blue although we might both call the Facebook buttons as blue. I thought they were grey. JN: Some of them are. This relates to my next question about how objective you are able to be as an outside eye. Do you find the role sits inside or outside of the process? Are you more subjective or objective? JN: I think of myself as rather subjective. What I try to do is to make the director aware of this subjectivity. Of the possibility of various interpretations. But also of the possibility of overlap in these interpretations. Some general background, relations etc. Together with the director I am searching for this intersubjectivity in the work. Could you define intersubjectivity for me please. In a nutshell? JN: For me intersubjectivity in this context means the meaning that exists in-between various subjective meanings. A meaning that might be agreeable to all these subjects. This is a lovely definition of the role of the dramaturg: to make aware of the possibility of overlap. From one reading to another, from one answer of a question to another, like this conversation. Question and answer overlapping each other like a tide. JN: Creating confusion and trying to make things clear at the same time. In response to your last post: how do you open without closing, make visible something that is not tangible, tell a story without making it too easy to read or too difficult to understand? JN: These are hard questions. Let me think. So is the dramaturg seeking a common denominator of meaning? In which case, he or she is possibly representing the audience in the room? Imagining what they might think of the work when they see it. Considering different potential readings. JN: I guess that is part of it. At various moments in the creative process the dramaturg will represent the audience and imagines how it will think about what is shown. There is a sentence from Michel Callon that I regularly use in this context: It is: ‘To speak for others is to first silence those in whose name we speak’. It is maybe not always the best way to deal with it, but representation (as a dramaturg, in politics or anywhere else) is an attempt in speaking for others. JN: On behalf of the work to the audience in that case, and on behalf of the audience when working with the director in others. Translating the work from the director’s point of view to the point of view of the audience and vice versa. So there is a circular transaction taking place. From artist to audience to artist via the dramaturg. It is a wheel. I asked a French dramaturg to describe the role and he said it was ‘lubrifiant’ – which in some ways makes the wheel turn more easily. JN: There is this part of the dramaturg that is seriously in-between, in a kind of liminality. You are part of the project and you are not, you are part of the outside world and you are not. Maybe you can try and make these parts run more smoothly together. The outside eye is a contradiction as the eye as an organ is inside our bodies but it projects an image inside from out. JN: I guess it is rather about an eye that enables the maker to look at itself. At the maker, I mean, not at the eye. The eye that is able to see where it is looking from. Confusing. JN: It is rather confusing indeed. I have to think of a sentence I wrote that I use in lecture performance in this context. Let me look it up. How do you document the dialogue you have with the artist? E.g. a blog, publications, papers. Do you consider the dialogue to be public / private? What is the legacy of the work you do? JN: I have thought about documentation a lot, but I have not really made an attempt in documenting for someone else then myself. I write in notebooks. I have talked about my work (together with a choreographer) at a conference. So it is an internal dialogue more than an external dialogue. Or a dialogue that informs the process more than exists outside of it. JN: Yes, and I still think that is a pity. I think much can be learned by discussing the position of the outside eye or the dramaturg. We might consider the sideline you mention to be the margins, or the wings. With The Beginning, The Middle and The End, I am in the wings. Exploring how the role of the outside eye is configured in relation to the work. The liminal notion is an interesting one as we move from the pre-liminal discussion of a project to a post-liminal state. My research is framing the study from the point of view of the beginning, the middle and the end of a creative process using the shows with those titles as practice as research. I had not thought of them as pre-liminal, liminal and post-liminal before. JN: Yes, that is about the same feeling I guess. It is standing in between the audience and the performers, but not daring to actually be there, so you flee to the wings. Well then we are in the wings writing about being in the wings now. I will take our words and put them onto the stage. Will let you know when it’s up. Thanks again for your time today.